Hill Dermaceuticals, Inc. is a USA-based pharmaceutical company specializing in the development and manufacture of topical medications and other products for the skin since 1943. 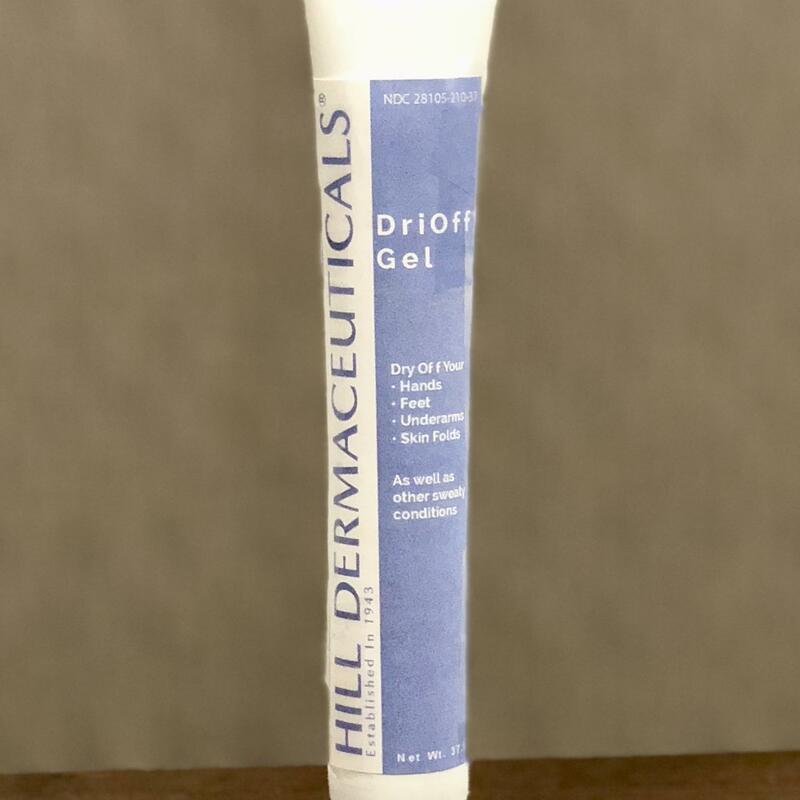 Hill DriOff Gel®is a drying agent – an astringent – in a soothing, easy-to-apply gel, containing less than 1% Aluminum Acetate (a drying agent) and Boric Acid, which inhibits the growth of microorganisms, helping with odors. That is especially important when applying to underarms and feet.